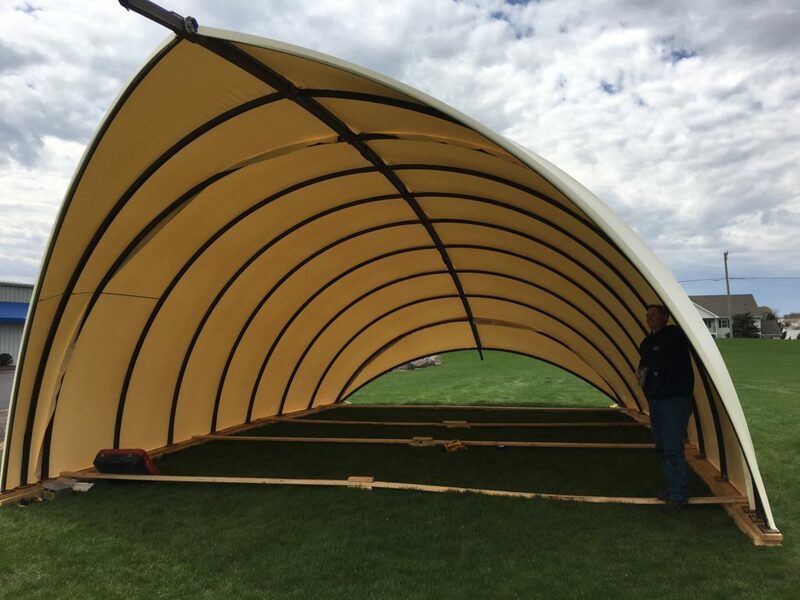 The Autonomous Tent concept was sprouted by Phil Parr, an IT person with no prior experience in the building trades or design realm. With the assistance of legendary architect Harry Gesner, he has created an incredibly unique building concept. 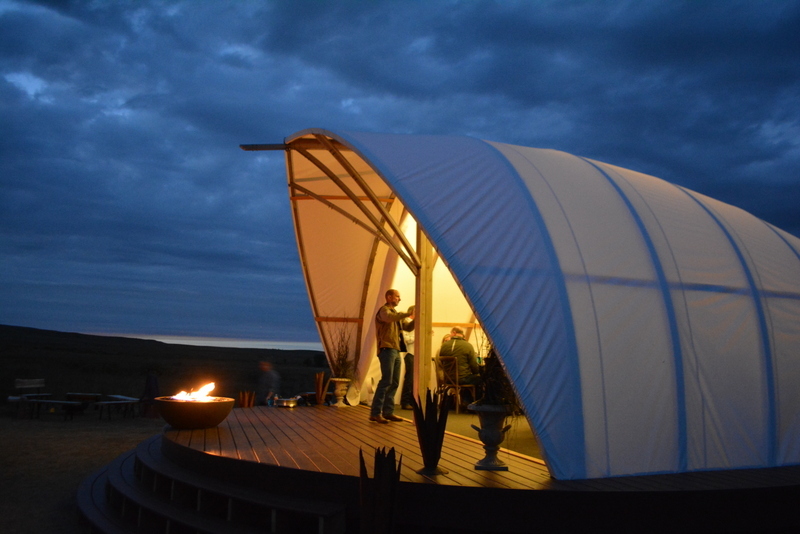 The Autonomous Tent is a fabric and skeletal structure that has evolved into a masterpiece of creativity and function. Odisea has been the structural engineer on the project from early on. We have been integrally involved in choosing the materials and fine tuning each prototype. 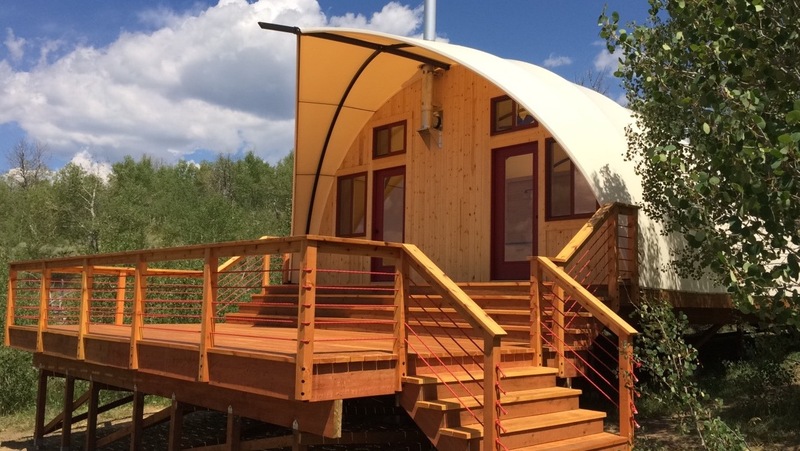 As of late 2016 we are completing the design of the first production model, which will be installed high in the mountains near Salt Lake City. 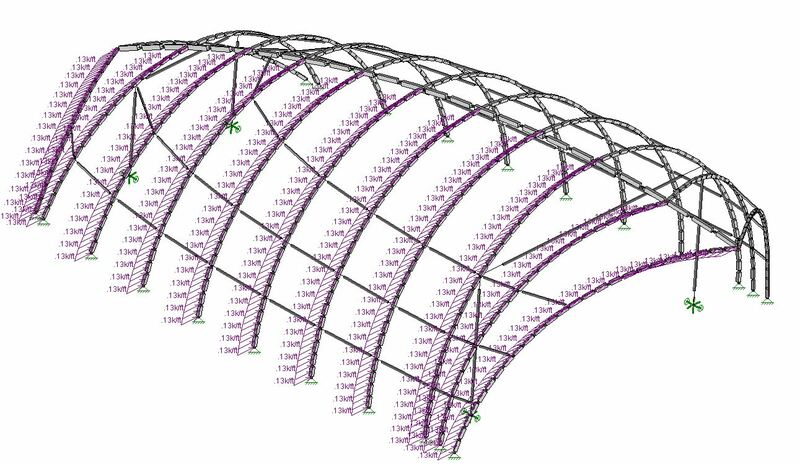 Autonomous Tent models are created using Rhino 3D and converted to Revit, where the model is then prepared for structural analysis using RISA 3D. The original prototype used a poly-carbonate frame, which turned out to be too flexible. Wood was added to the frame as a stiffener and the first AT was born on the plains east of Denver, Colorado. The latest model uses steel tubing. 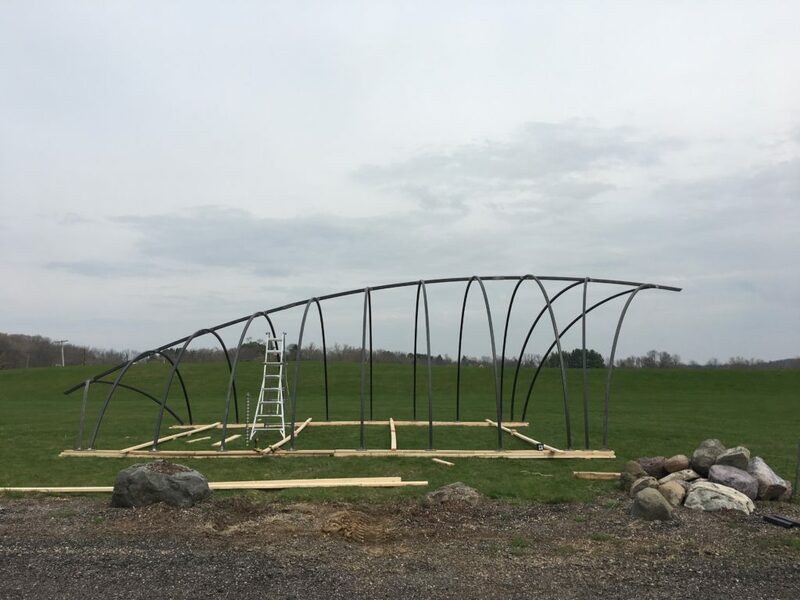 The latest prototype using a steel frame will incorporate insulation and interior fabric and trim. 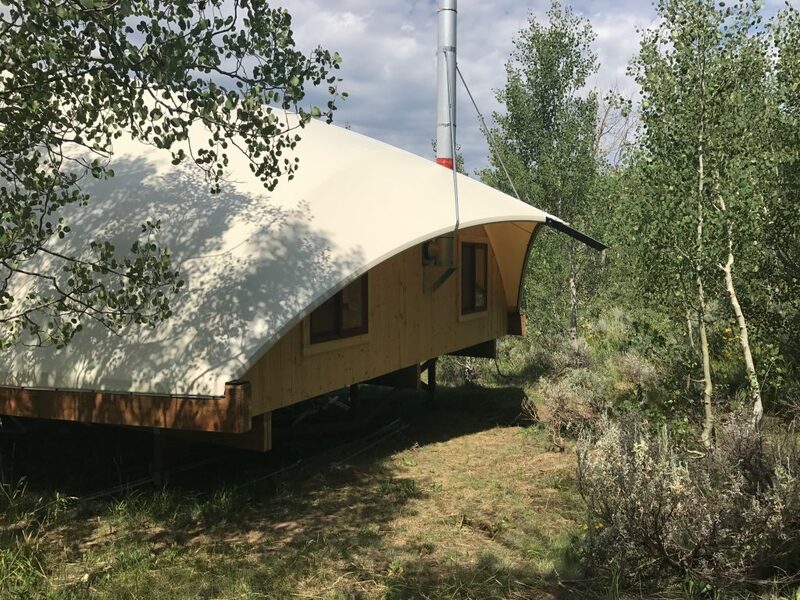 As of late 2017 the latest Cocoon was installed on a ranch in the Inter-mountain West. It has a steel frame and commercial PVC fabric cover. Snow loads are expected to be significant at times. We’ll be monitoring how it handles the harsh climate. We are delighted to be a part of such an extraordinary team of visionaries who are pushing the boundaries of structure and lifestyle. 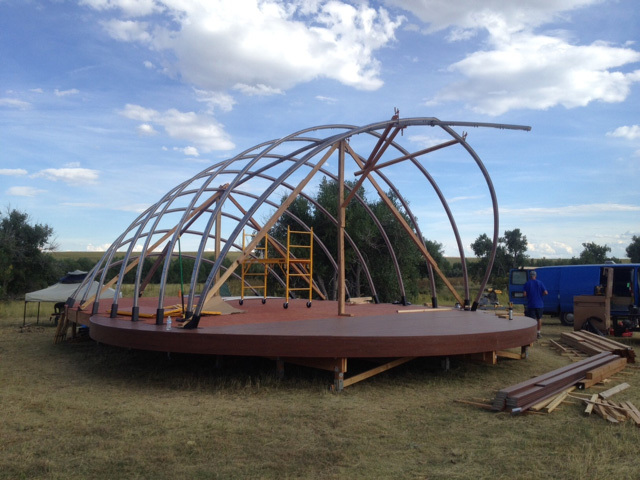 Stay tuned for more to come as the structure continues to evolve.